On driving into Helmsley, I was concerned to note the low level of the water in the river below the town bridge, easily viewed from my elevated seat in Tonka Too. 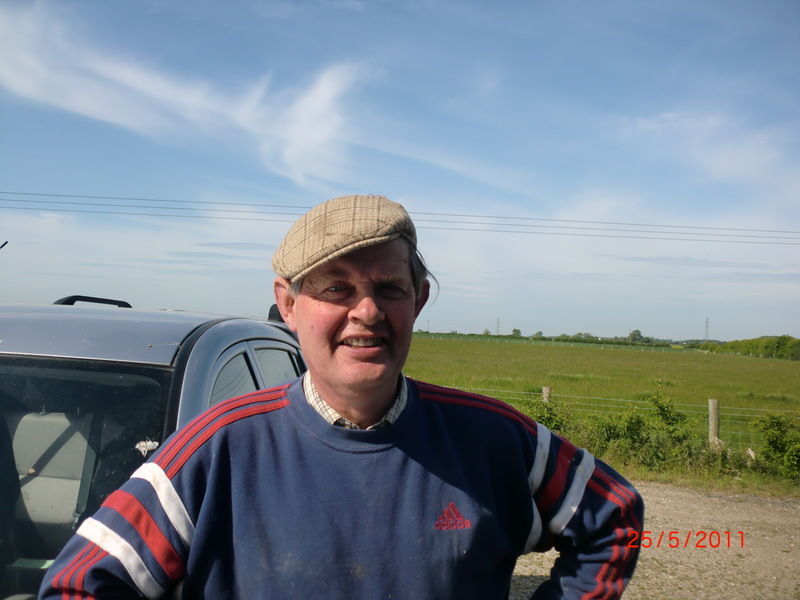 And I met up with John who explained that flowing over limestone, his river disappeared into the windy pits (pot holes, to you and me!) in this location so much of it flows underground at this point. A super injunction has been taken out, and this prevents me from revealing where we fished. 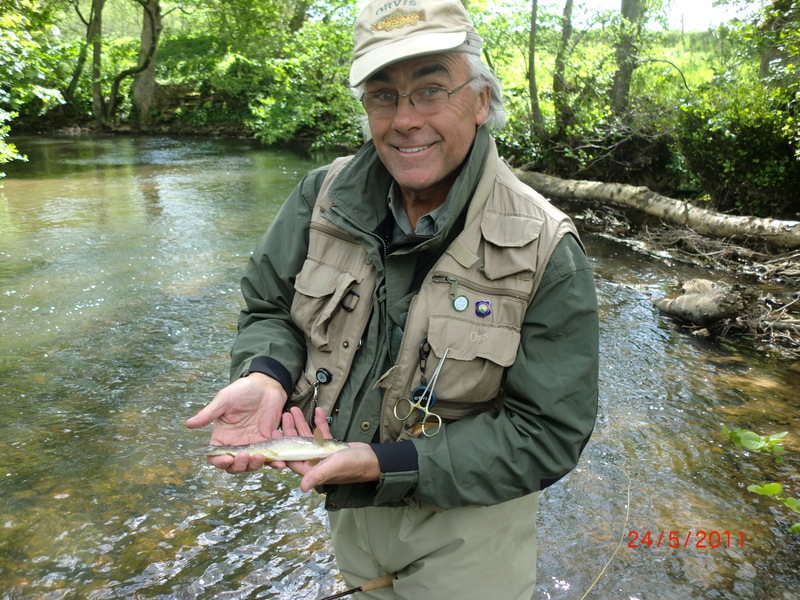 Neither does the description accorded to Lot 150 in this year’s WTT Auction, generously donated by John (as was Lot 213), reveal the ‘where’, and whilst it may be the same water, only the angler making the winning bid, and my goodself know where, but you, Dear Reader, will never know! Let me describe the Rye. Firstly, I had never heard or read about it. 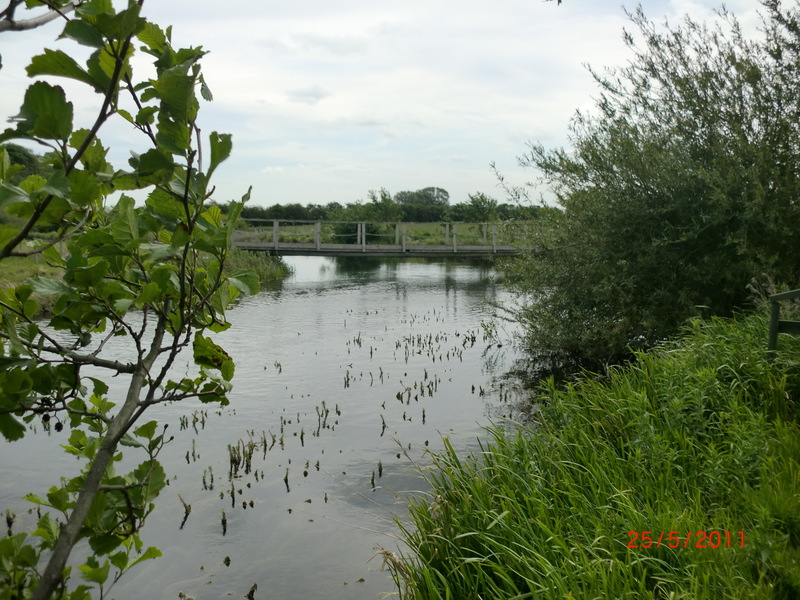 In parts it has special protected status – SPA, SAC, SSSI, as it flows through the most glorious and varied countryside. 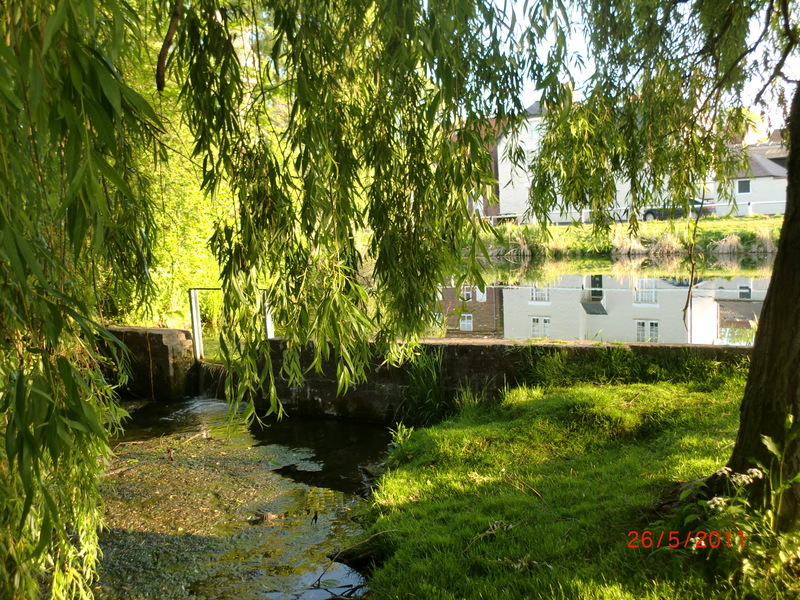 And also – “At source the River Rye and its tributaries run over Corallian limestone which outcrops on the hills surrounding the Vale of Pickering. 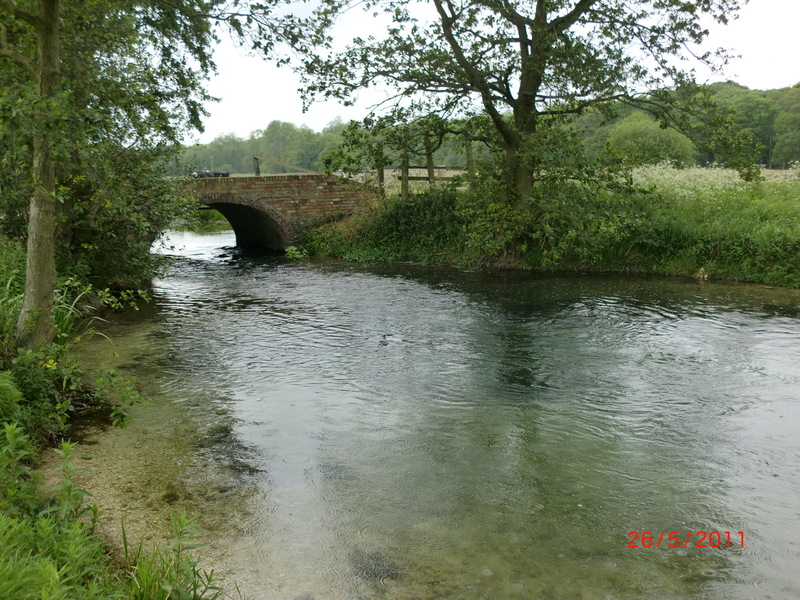 In places this major aquifer is exposed in the river bed and water from the river is lost through swallow hole” as explained by John. Arriving at our first venue in the heart of the Dale, I was struck by the calm and only the sound of birds broke the silence. We stood by an ancient stone bridge and discussed tactics. 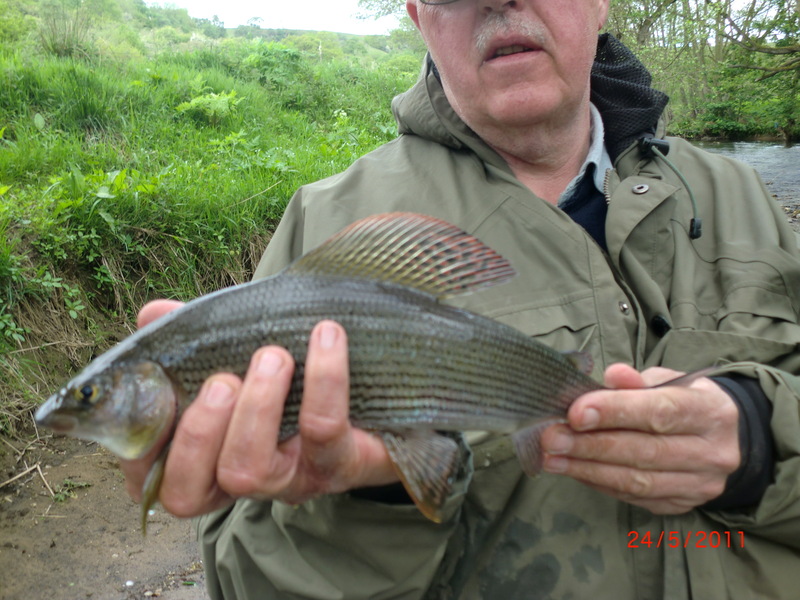 …and whilst a couple more trout came to net that morning, it was the grayling which surprised. 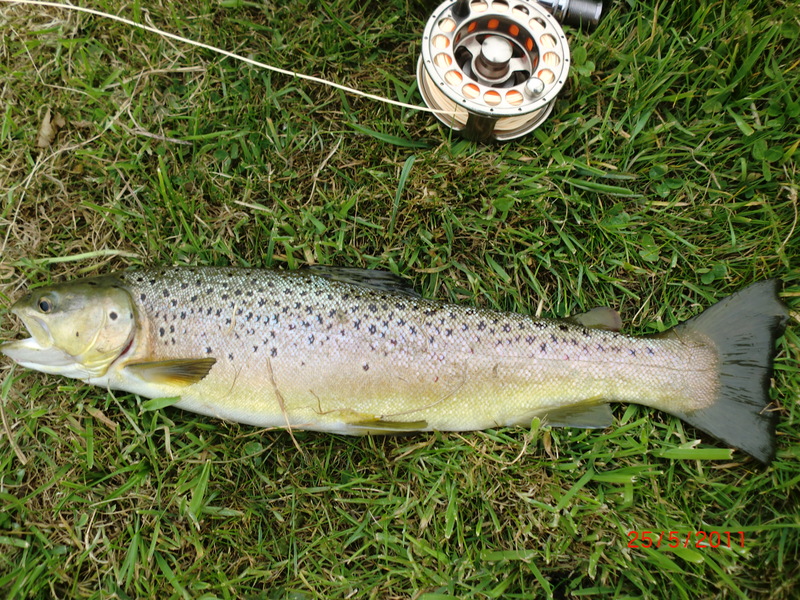 Ten or so came to net, and at least four of them were well over the 1 lb mark, the largest nearer 2lb. 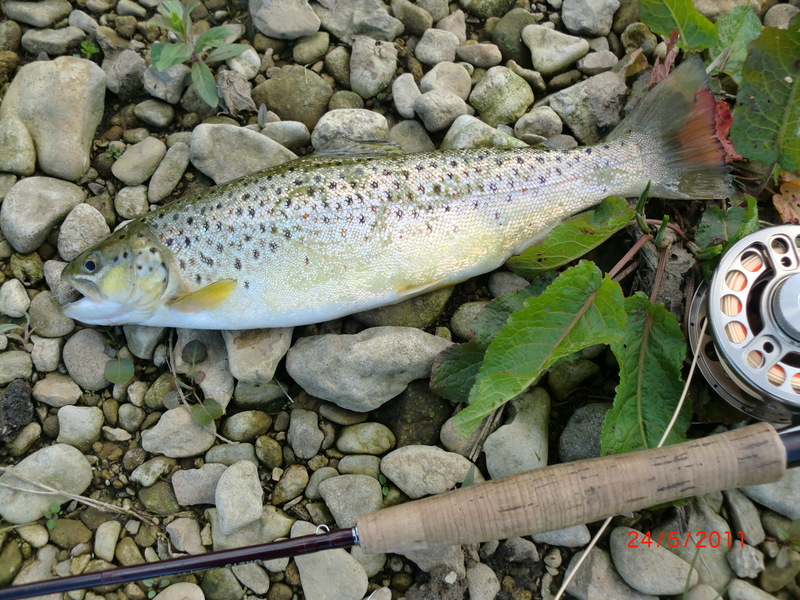 Staggering for a small stream, and averaging much larger than in the Avon. And all on his rig! 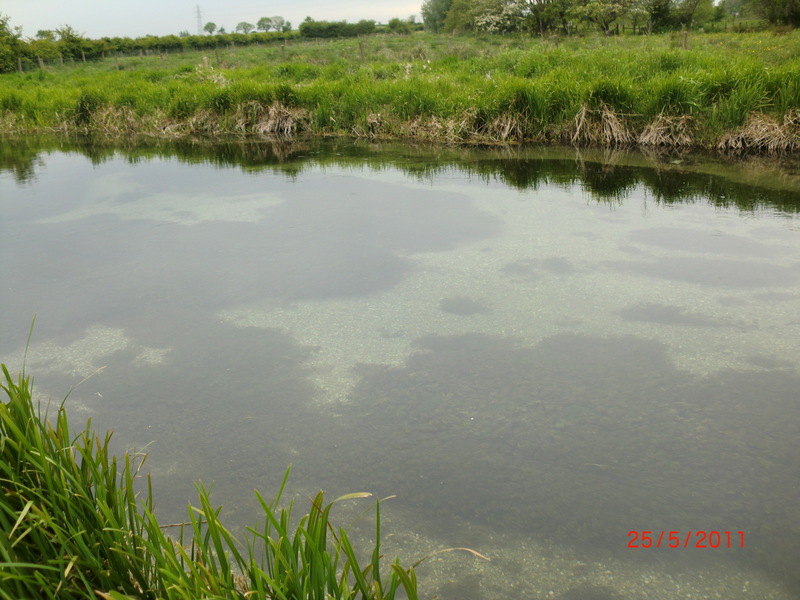 over gravelly bottom with curious grey slates in parts, with long flowing weed. 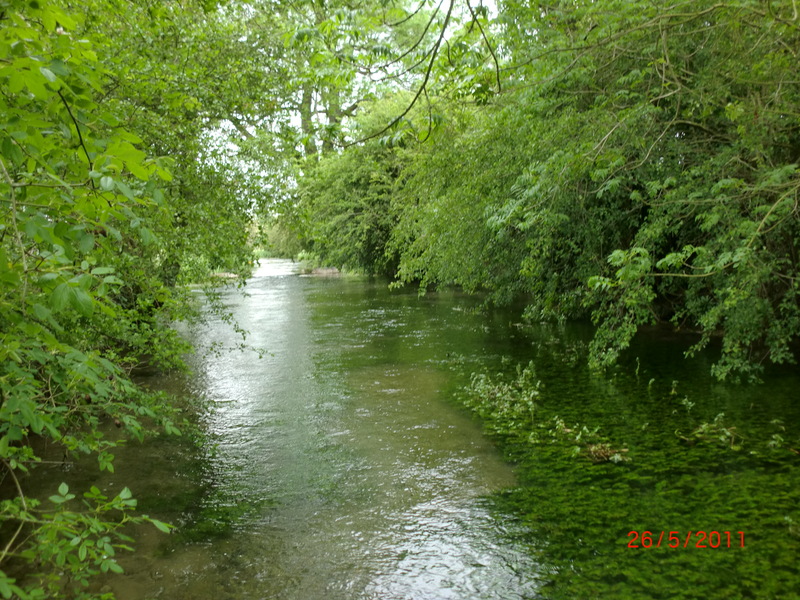 The bends in the river have created deep pools but the glides are more Hampshire in character and I am sure there were more fish under the weed than were visible. 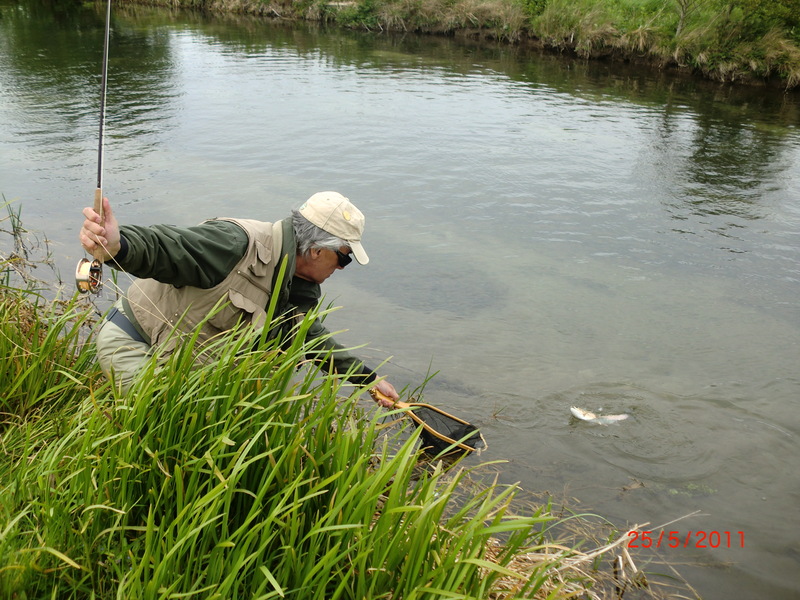 The wind was gusting but the temperature rose in increasing sunshine and the odd May, along with some olives produced spasmodic rises, and eagerly I switched to a dry fly. 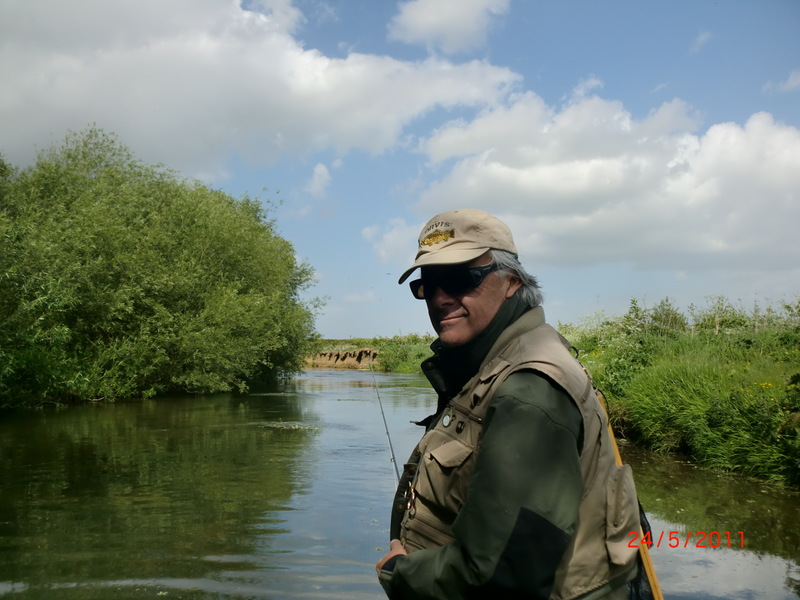 Jim, the Keeper, confirmed that just the week before, anglers were catching fish with imitations as May duns went floating by…funny how it’s always ’last week’! 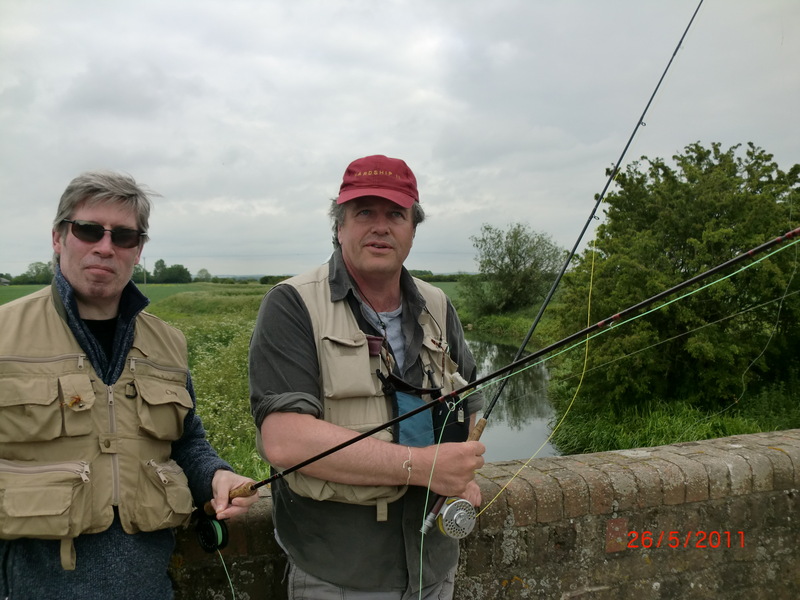 I caught up with John and Jim who were chatting upstream, and learned that John had netted a couple of good fish on mayfly imitation from below the far bank where they were standing. John had to leave at five, so I wandered back downstream to see whether the fish that were rising on my way up were still doing so, but no. 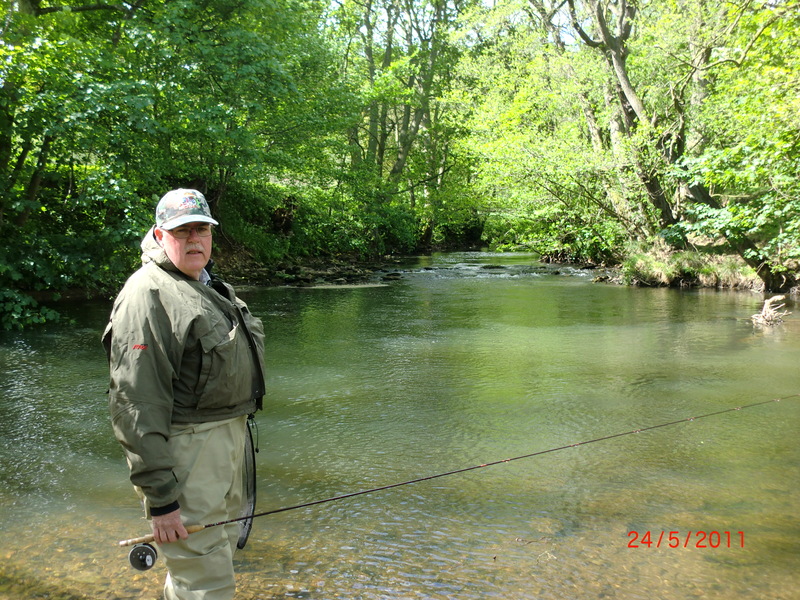 And on arriving where John caught I noted a sipping rise across the stream so tied on a spent May, and hooked him with my second cast. He was a doughty fighter and headed into the weed and just as I thought he was lost, he slid through and into my net…about 1 ½ lbs. My thanks for a super day. 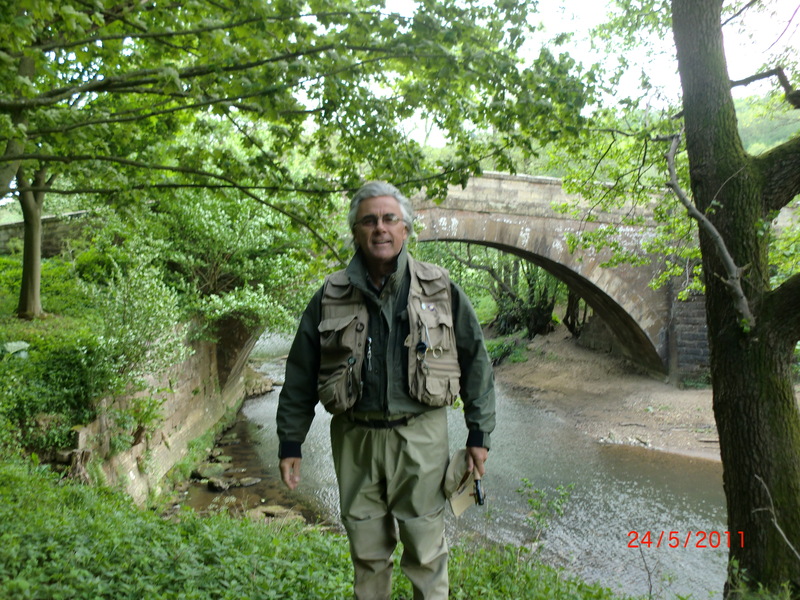 You were most generous with your time, your knowledge, lunch, and your passion for angling, and the Yorkshire countryside is obvious. I have bought your book (‘A Dream of Jewelled Fishes’ published by Aurum), and I now understand your ‘Nom de Plume’! ps 2…I have had many invitations to be LinkedIn, but have declined all of them. I do not ‘tweet’ and am not a ‘twit(terer)’, nor am I on Facebook. But….I connected with John on a Forum, so in one sense, I am a Social Networker, as must you be for reading me, I presume. Good for us…and for me at 63, there is hope….I think!